The Cathedral Archer Project is a homeless day centre based at Sheffield Cathedral. Its goal is to help homeless people achieve stable lifestyles. Fundamental to its success are the hot meals it provides on a daily basis. ‘For me, Christmas is a time when the excess and commercialisation of the season bring the problems and challenges faced by those on the fringes of society into sharp focus. I simply wanted to do something to help. I spoke to the Cathedral Archer Project and we calculated that the Project used around 780 500g bags of dried pasta each year in delivering hot meals to the homeless: this became the goal of the Pasta Project. 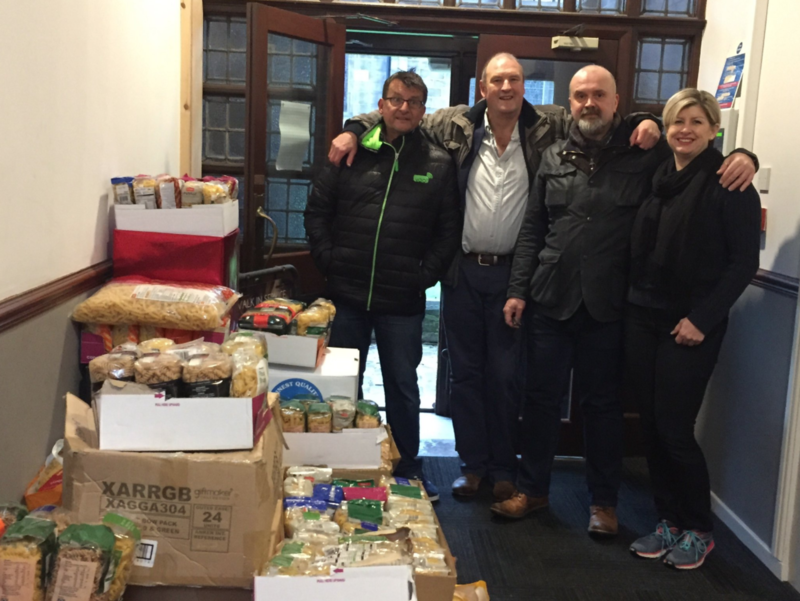 I cajoled three business associates (Nigel Short, MD of Voot Telecom; Mike Marshall, MD of eatsleepthink; John Batty, MD of Bluejohn Marketing) to help, and together we contacted our networks of suppliers, clients and friends asking for donations. Photo: Anne, Nigel, Mike and John deliver the pasta to the Cathedral Archer Project’s stores. If you would like to help the Cathedral Archer Project, simply visit archerproject.org.uk or contact Tracey Viner on 0114 321 2312.